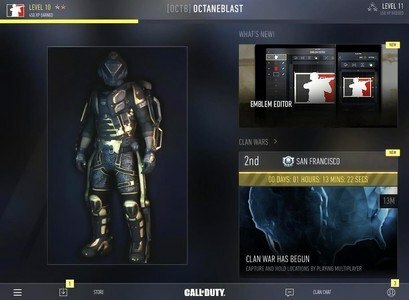 The Call of Duty®: Advanced Warfare App gives fans the amazing tools they need to create and manage their clan, produce in game player and clan emblems, and participate in Clan Wars on the go from their tablet or mobile device. The new Call of Duty®: Advanced Warfare App takes the Clan experience to a whole new level. 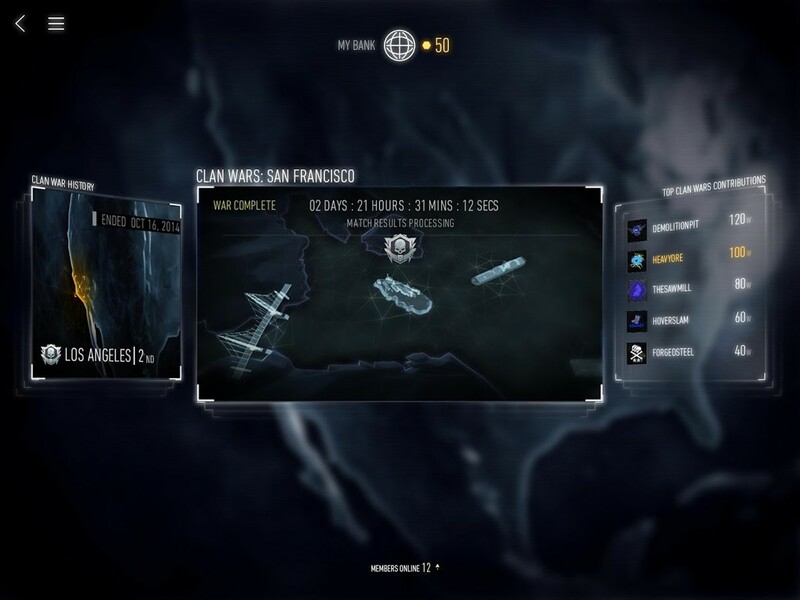 Clan Wars give you and your friends the opportunity to join up and compete against other clans of similar size and skill for control of positions on the in-app Clan War map. The winning clan in each 8-clan war receives exclusive in-game loot. 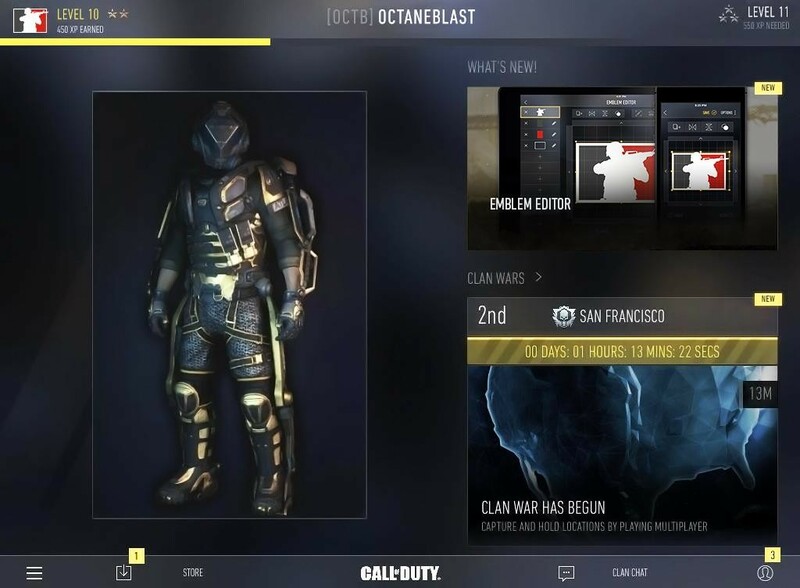 This loot is used to customize your operator in Advanced Warfare Multiplayer and is only available in Clan Wars. Clan War loot is a signal to your opponent in any match that you and your clan are a cut above. 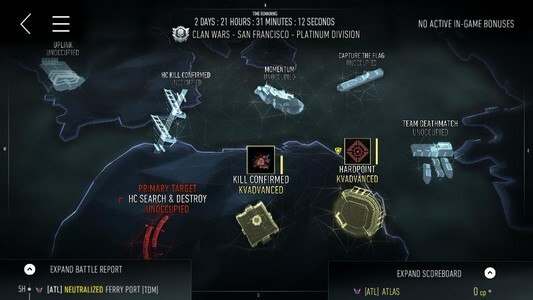 The War Room is where you and your Clanmates manage your overall clan experience. 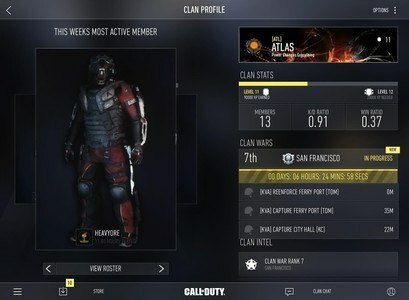 You can see active and upcoming Clan Wars, your Clan War history, and your clan’s top contributors. 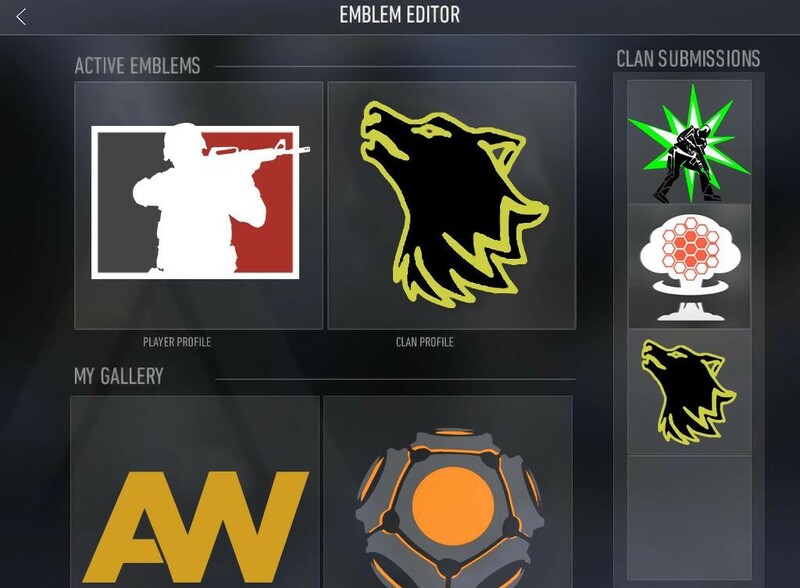 In Call of Duty®: Advanced Warfare, your emblem is a unique representation of your multiplayer Operator or your Clan. 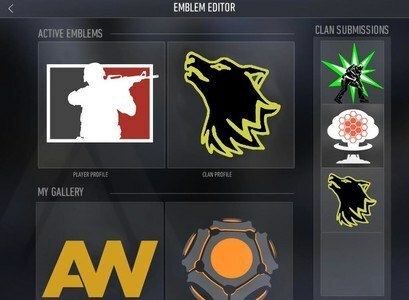 The Call of Duty: Advanced Warfare app has a full emblem editor that can be used to create a custom clan emblem or player emblem that is synced to the emblem editor in-game.